A bilingual road sign in Co Tyrone has been vandalised. 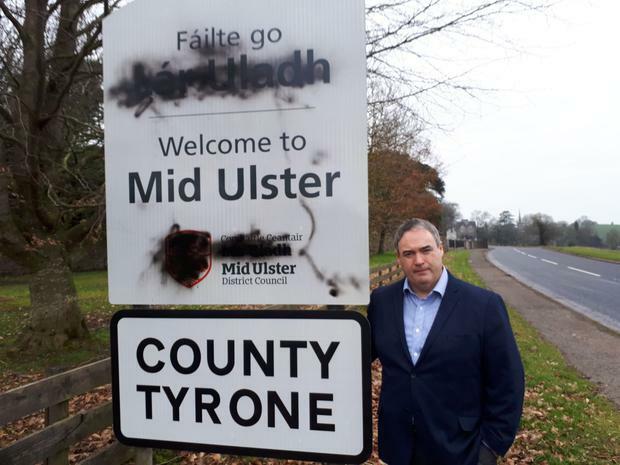 Vandals spray painted over the Irish language portion of the Mid Ulster District Council sign erected just outside Caledon. 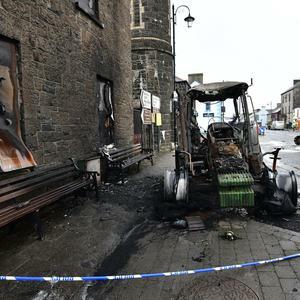 Sinn Fein MLA Colm Gildernew has condemned the damage. 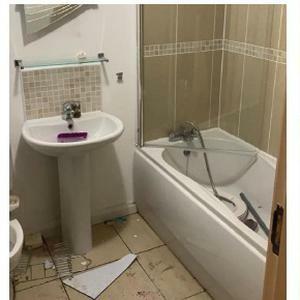 The Fermanagh South MLA said: "The vandalism of this sign is indicative of the attitude of some in society who show a complete disregard and lack of respect for the Irish identity. "Anybody removing, destroying or vandalising bilingual signs is involved in criminal damage and should be reported to the PSNI. "Occurrences like this bring into focus the need for protection of Irish Language rights through Acht na Gaeilge [Irish language act]."